Bread & Pastry – Standard Baking Co.
We carefully select our ingredients for their freshness, flavor and nutritional value. We choose organic, locally grown products when available and buy from small, family-owned suppliers whenever possible. We use unbleached wheat flour and certified 100% organic wheat flour. All of our whole grains and whole grain flours are certified 100% organic and sourced from farms in Maine and Quebec when available. 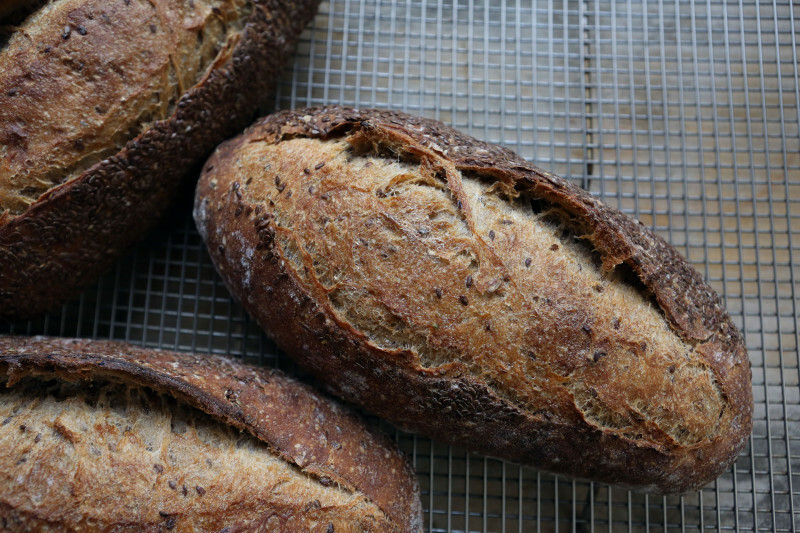 Our naturally-leavened breads are made with our own organic starters, without any commercial yeast.